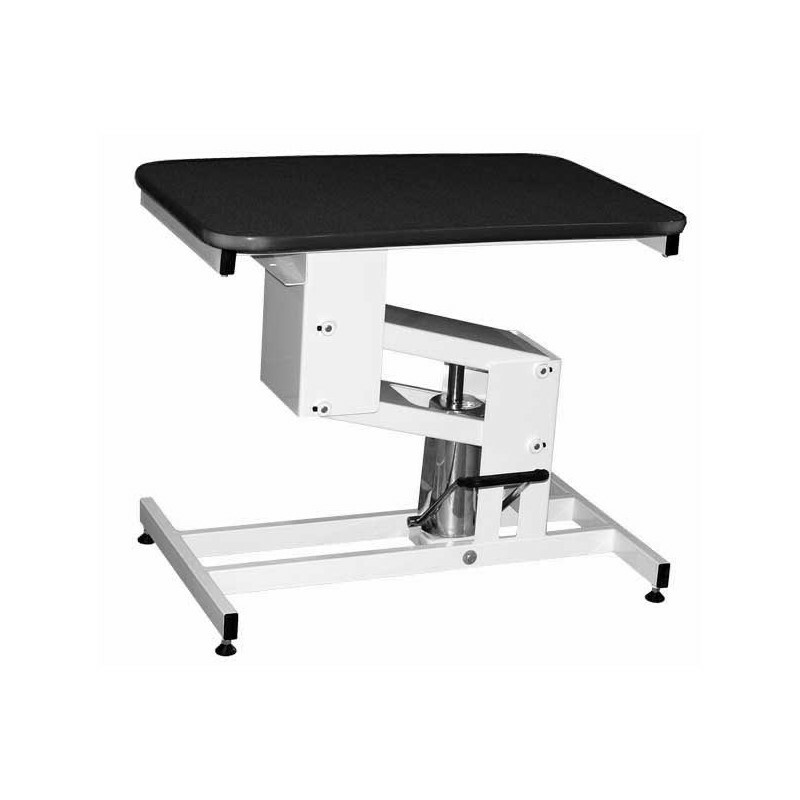 Our Edemco 48 inch White Hydraulic Grooming Table has a fixed top has reliable foot operation. It's one of the most affordable hydraulic table. Rock solid, built from 4" steel bar that eliminates wobbling and tipping. Superior quality table is rock solid at any height adjustment. Solid wood top with a non skid black sprayed durable surface and adjusts from 19" - 39" high. Comes with bracket for F921 groom arm built right into the frame. Good looks and an attractive price, too! Does not include grooming arm. 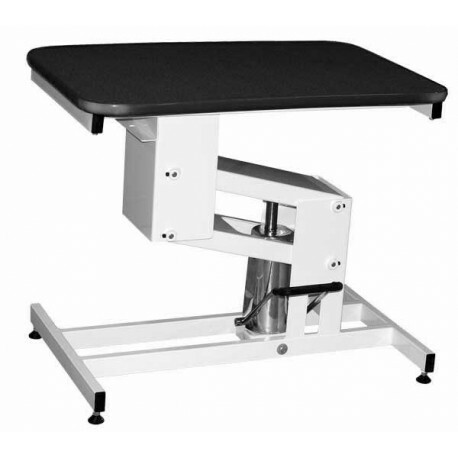 - Table Adjustment: Fully adjustable from 19" to 39"
- White will apply only to the base of the table. The table top comes in black only.